Telltale Games has made an agreement to make games based on NBC Universal properties. 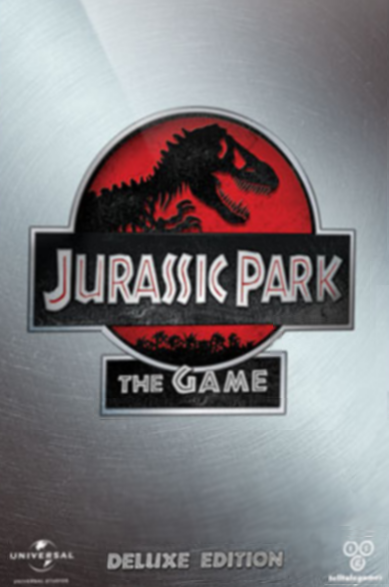 The second game after Back to the Future: The Game is an episodic adventure game based on the Jurassic Park film series. The first episode was originally scheduled to be released in April 2011, but it was pushed back to the fall in order to improve the game. The game was released for PC, Mac, PlayStation 3, Xbox 360, and iPad (first episode only, as the iPad was the only game that received the game episodically) on November 15, 2011. Thieves come looking after Dennis Nedry's Barbasol can. A vet and his daughter try to get off the island. An InGen rescue team comes to Isla Nublar via helicopter in order to look for survivors. After being separated, the two groups of survivors avoid dinosaurs and struggle to meet up with each other. The remaining survivors attempt to find a way to call for help so they can finally get off the island.